Frazer Building Company LLC has been proudly family owned and operated since 2003. 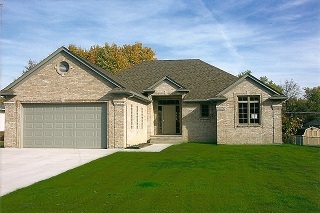 Our office is based in the beautiful city of Marysville, Michigan. We service most of Southeast Michigan into the thumb region. Although most of our clients are located in the St Clair and Northern Macomb County areas, we do not limit ourselves to any particular locale. Our building team consists of highly qualified tradesmen who possess the knowledge to handle the complexities of building your home in todays technological, and energy conserving times. From every aspect of the building process, whether it be custom CAD blueprint, Framing, electrical, plumbing, HVAC, Audio/Video systems, and much more, we have a experienced Tradesmen to do just that particular job. Staying up to date with the ever changing construction industry is a must! Frazer Building Company is able to inform you of the most efficient ways to not only build your home, but also ways to maintain your home to keep it looking fantastic in the years to come. That is why an emphasis on continuing education is a priority for our staff. Green living to green savings! We can design and build your project with the know how to put your mind at ease. General home building company helping you with every aspect of the building process including new home construction, home remodeling, and renovation across St. Clair, Port Huron, Fort Gratiot.